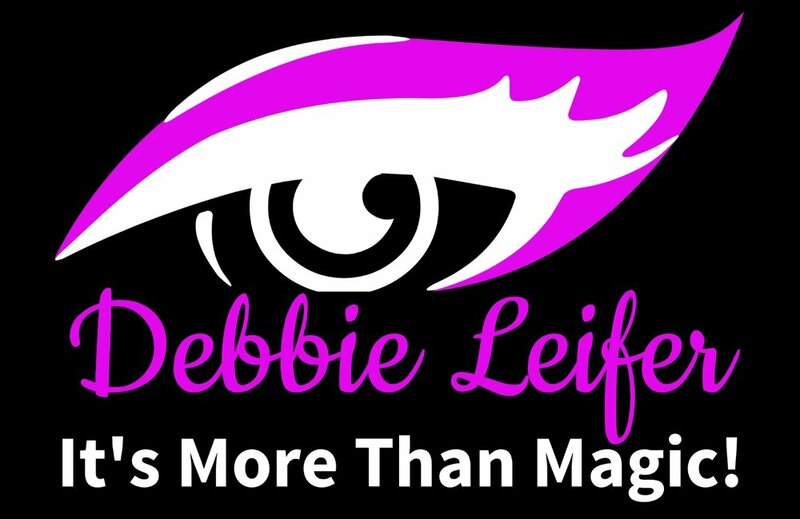 Debbie will ATTRACT ATTENDEES to your booth, ENTERTAIN and charm them, EDUCATE them about your company, and INFORM them about key benefits and features of your products and services. Your sales messages will be creatively integrated into customized, INTERACTIVE dazzling magic and extraordinary mentalism. She will represent your company with corporate savvy and more than 2 decades of trade show experience. Debbie's CUSTOMIZED presentations will result in attendees remembering YOUR company, YOUR products and services, and YOU! Debbie has enhanced trade show booths for Sony, HP, State Farm, LA Gear, SendOutCards, Best Uniforms, Emerald Computers, MicronPC.com, and UPS. She has been an attendee magnet for local companies and entrepreneurs at industry conferences, networking events, and business expos. Attendees decide in 3 seconds if they will stop at a trade show booth. The reality is... you can't afford to not have Debbie draw attendees to your booth.